The core of Article 6 reads, “Every human being has the inherent right to life. This right shall be protected by law. No one shall be arbitrarily deprived of his life.” Article 6 requires States parties to protect and respect individuals’ right to life in all situations, including during armed conflict and public emergencies, as a non-derogable right. See id. at paras. 2, 7. Importantly, the Committee clarifies that States’ duty to protect individuals’ right to life extends to all persons subject to its jurisdiction, even if located outside of its territory. See id. at para. 66. It defines “jurisdiction” to extend to “all persons over whose enjoyment of the right to life [the State] exercises power or effective control. This includes persons located outside any territory effectively controlled by the State, whose right to life is nonetheless impacted by its military or other activities in a direct and reasonably foreseeable manner.” See id. at para. 63. This reading clarifies and arguably expands upon the commonly-applied concept of “power or effective control” over the person whose right is at issue, rather than over that person’s enjoyment of that right. General Comment No. 36 addresses what deprivations of life qualify as “arbitrary” for the purposes of Article 6. The Human Rights Committee recognizes that while Article 6 explicitly prevents arbitrary deprivations of life, the right to life is not absolute. See id. at para. 10. For example, deprivations of life are permissible when individuals are exercising self-defense or in certain circumstances when issuing the death penalty. See id. However, the Committee emphasizes that any permissible deprivation of life must be reasonable, necessary, and proportional to the aims sought, and must be established under the law with effective institutional safeguards to protect against potential arbitrary abuses. See id. at 10, 12. Furthermore, any deprivation of life that violates international law or domestic law, or that comes about through a violation of due process, is an arbitrary deprivation and accordingly a violation of Article 6. See id. at 11-12. Additionally, any deprivation of life that results from discrimination is automatically arbitrary. See id. at para. 61. The Human Rights Committee confirms that State parties are responsible for ensuring that law enforcement officials and private actors authorized to use lethal force or force that may result in lethal consequences, which is permissible only when “strictly necessary,” comply with Article 6. See id. at paras. 12-15. States parties are also responsible for ensuring accountability when these actors arbitrarily deprive life. See id. The General Comment also expands on States’ positive obligation to protect individuals from deprivations of life. The Human Rights Committee explains that protection of the right to life requires States to enact laws or other measures to protect life from all “foreseeable threats,” whether those threats are from the State or from private actors. See id. at para. 18. The right to life requires States to explicitly prohibit forms of violence or incitement to violence. The Committee highlights that “intentional and negligent homicide, unnecessary or disproportionate use of firearms, infanticide, [honor] killings, lynching, violent hate crimes, blood feuds, ritual killings, death threats, and terrorist attacks” are forms of violence that may result in deprivation of life. See id. at para. 20. In addition to prosecuting these crimes, States are obligated to investigate, prosecute, and punish those responsible for these crimes. See id. at para. 27. However, outside of the criminal context, States also have positive obligations to alleviate conditions that pose direct threats to life or that prevent enjoyment of life with dignity. See id. at para. 26. The Committee points to State obligations to address: high levels of traffic and industrial accidents; environmental degradation; deprivation of indigenous peoples’ land or territory; life-threatening health conditions, including AIDS and substance abuse; widespread hunger; and extreme poverty and homelessness. See id. Accordingly, the Committee explains that social and economic rights are necessary to protect the right to life, and that failure to ensure access to essential goods and services, such as food, water, shelter, health-care, electricity, and sanitation, may violate the right to life. See id. General Comment No. 36 reaffirms the principles that State parties that have abolished the death penalty are barred from reintroducing it and that States are prohibited from executing individuals who were younger than 18 years at the time of the offense. See id. at paras. 34, 48. For the States that have continually maintained the death penalty for certain crimes, the Human Rights Committee clarifies that the death penalty is only permissible under Article 6 for crimes that involve intentional killings. See id. at para. 35. It is a violation of the right to life for a State to use the death penalty to punish any other type of crime. See id. The Human Rights Committee confirms that the right to life prohibits a discriminatory application of the death penalty. See id. at para. 44. The Committee suggests that data indicating a certain class of individuals, such as those of a specific racial, religious, ethnic, economic, or national group, are disproportionately sentenced to death raises concerns under Article 6 as well as Article 2 of the ICCPR, which prohibits discrimination. See id. at para. 44. Importantly, the Committee reminds States parties that “[t]he death penalty cannot be reconciled with full respect for the right to life.” See id. at para. 50. Additionally, the Human Rights Committee addresses the relationship between climate change and the right to life. See id. at para. 62. The General Comment indicates that the right to life should inform States’ obligations under international environmental law, and that protection of the right to life requires that States preserve the environment against harm, pollution, and climate change caused by public and private actors. See id. States should also ensure sustainable use of natural resource and conduct environmental impact assessments as part of protecting the right to life. See id. The General Comment also indicates that using or threatening to use weapons of mass destruction, specifically nuclear weapons, is incompatible with the right to life given the indiscriminate nature of these weapons. See id. at para. 66. The Committee concludes that States must take all measures to ensure nonproliferation of nuclear weapons, including ending development of new weapons and destroying existing stockpiles. See id. The Human Rights Committee is the UN treaty body responsible for overseeing the interpretation and implementation of the ICCPR. See IJRC, Human Rights Committee. Through its general comments, the Committee clarifies the scope and meaning of the human rights protected under the ICCPR. See id. Beginning in 2015, the process for adoption of General Comment No. 36 involved several discussions, drafts, and commenting periods that all allowed for participation by interested stakeholders, including Member States to the ICCPR, civil society, academia, and national human rights institutions (NHRIs). See OHCHR, Draft General Comment on Article 6 of the International Covenant on Civil and Political Rights – Right to life; OHCHR, Procedure for the Adoption of the General Comment. While General Comment No. 36 took over three years to complete, the current Chairperson of the Human Rights Committee has stated that the Committee is interested in shortening the general comment process to two years in the future. 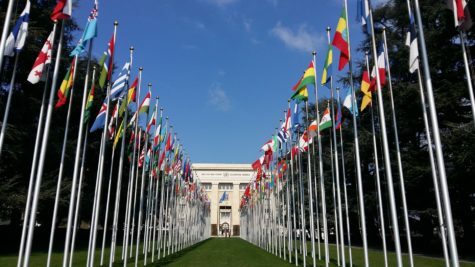 [OHCHR Press Release] For additional information on the drafting process and examples of written Submissions from NHRIs, civil society organizations, and academia, see IJRC’s news post on the Committees’ July 14, 2015 discussion. For more information on the Human Rights Committee and the right to life, visit IJRC’s Online Resource Hub. To stay up to date on the latest human rights news, visit IJRC’s News Room and subscribe to the IJRC Daily.